Guest Post: Rachel and her Girls in Stripes. Good Morning. As you are reading this, I am probably rushing to eat breakfast so I can enjoy our second to last day to the beach. My second guest post this week is from RACHEL from Garay Treasures who is a mom in her early thirties to two boy and two girls. Today, she is joined by her two daughters in matching styles, where all three of them show us classic Black+White Stripes and all look adorable, at the same time. I just love the easy mom look Rachel has going and her hair looks so pretty. Thanks Rachel and continue reading on below with her post. "My name is Rachel and I blog over at Garay Treasures, and I am honored to be guest posting for Ada today. I am a fashion and lifestyle blog that mixes fashion, my daily life and my love for the Lord Jesus Christ. I blog because I have a passion to inspire and be inspired myself. Through my blog and meeting so many people who inspire me I have felt truly blessed. 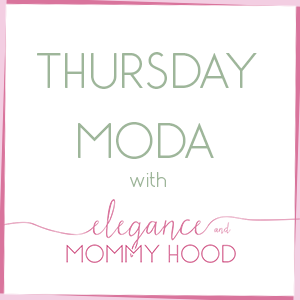 Ada has been one of those bloggers I turn to for budget friendly and mommy and daughter style collaborations and have enjoyed our blogging friendship over the last few years. I thank Ada for having me today as I show you how my two girls and I style our own version of stripes. My family and I recently enjoyed our local farmer's market and had a blast. I never knew a day with walking around and supporting local vendors and shops could be so enjoyable and relaxing, but it was. I have supported local shops online, but to actually walk to a booth and talk face-to-face with strangers that sell their food, plants or creations is a good feeling. On this particular trip my daughters and I styled stripes. It is so hard to get my girls to coordinate completely and these were thrown on last minute, otherwise I think I would have loved for the girls to wear matching denim skirts and striped tops like muah. These girls are just the cutest and while we don't match completely I love the individual style of stripes and how to wear them. Elizabeth (my 3 year old) displays a trend on trend kind of outfit. Pops of color, with a striped ruffle bottom rain top and embroidered denim scalloped skirt, while Nevaeh is more dressed up in a midi dress and jewel tones. I choose to stay casual, wearing my top with a thrifted denim skirt, dorsay ankle strapped flats with fringe cross body bag. Sometimes a day on the market calls for good walking flat shoes, a cross body bag (so you're not lugging a big handbag around) and comfortable clothes. What do you wear to your farmers market? How do you style stripes? Nevaeh's: Dress: similar, Flats: via Ross, similar. 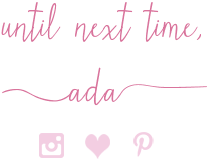 Again, thank you Ada for having me by today, you can follow my blog the following ways: Facebook, Bloglovin, Instagram, Pinterest and Twitter." P.S. I will be back Sunday with my last LWD from June and a recap of the Little White Dress Week and more. Thanks again for reading!